Today's Los Angeles Times reports that Hollywood activists have been protesting this week's demolition of the now-destroyed Basque nightclub, stating that some remnants of the Richard Neutra-designed building should be saved. 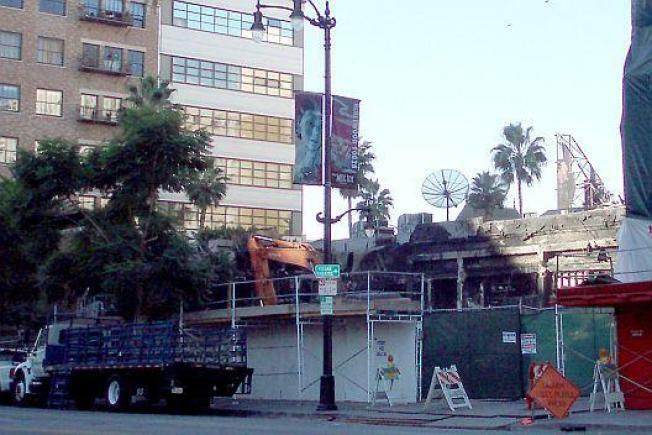 While city officials point out the building, which was damaged in an April fire, has been through so many re-designs that it no longer qualifies as a historic structure, the most intriguing part of the story comes at the end, when the Times notes that preservationist Gregory Paul Williams and others believe that "mysterious fires frequently precede demolition of historic buildings near the Hollywood and Vine sections." According to the paper, Williams can reference 10 buildings in the area that were destroyed after a mysterious fire. Meanwhile, Clarett Group. which owns the site of the Basque nightclub, says it has put off any development of the area because of the economy.